So, what do you think being dead sounds like? Gina Ochsner’s ghost story “How the Dead Live”—about a man who has died and haunts his daughter’s house only because she will not let go of his memory—answers this question beautifully. Ochsner uses sound in a subtle manner to imply the lack of communication between the man and his loved ones when he was alive, and the reader is treated to a piece that renders chills in what is heard: for example, there is the “sad sound of geese honking” (40-41) in his daughter’s dreams. Ochsner’s story, on the surface, is about losing a loved one; the motif of sound and how it’s used serves as a reminder that we should, while we are still alive, take the time to listen to those around us, and be certain that we are heard. 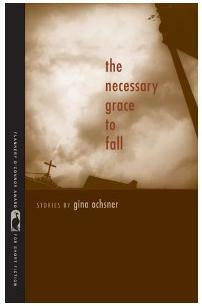 Posted on April 28, 2011, in GhoStory Guru and tagged "How the Dead Live", Ghost Stories, Gina Ochsner, The Necessary Grace to Fall. Bookmark the permalink. Leave a comment.